If you would like us to contact you, enter your name and phone number (including area code) in the fields below. We endeavour to get back to you within 24 hours. Hampshire Bird & Pest Solutions. Expert Pest Control Services in Winchester & Basingstoke. Hampshire Bird & Pest Control have over 30 years of experience in all areas of pest control including dealing with pest birds, wasps and rodents. Our friendly team serve businesses and residential properties in and around the Hampshire area. Find out more about the extensive range of pests Hampshire Bird & Pest Solutions offer professional services for. Read more about the pest you suspect and how to spot common signs of a problem. Get in touch with the friendly team today for a free pest control quote in Winchester & Basingstoke. Talk to us about your pest problem whether it's a problem rat or mouse, to a wasp nest that needs treating or even bird proofing your home; our expert team have a selection humane and effective treatments to solve your pest problem. Learn more about pest rodents and what signs to look for if you suspect a rodent issue. Find out more about wasps' nests and what you should look out for if you suspect an issue. Read more about pest birds and some of the most common signs that may indicate a problem. Find out more about pest insects and the main signs to look out for if you suspect an issue. Read more information about bed bugs and the key signs to look out for if you suspect a problem. Learn more about pest rabbits and some of the most common signs that may indicate a problem. Read more about pest moles and what you should look out for if you suspect a problem. Find out more information about squirrels and what to look for if you suspect you have a problem. Learn more about pest foxes and what signs you should look out for if you suspect a problem pest. We offer an effective and friendly service across a range of pests for residential and domestic properties. Find out more about the range of services available to residential customers. 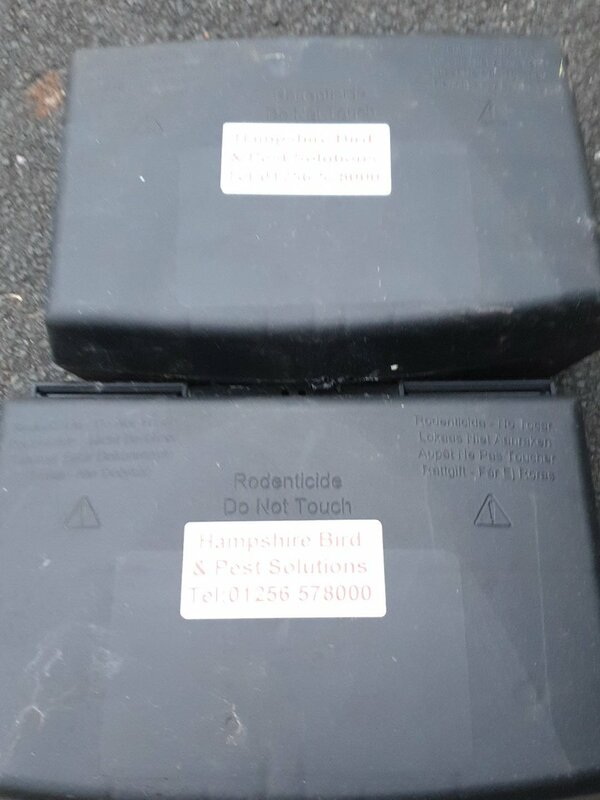 Hampshire Bird & Pest Solutions deliver industrial scale bird-proofing and rodent control to name a few. Find out more about the services offered to commercial and business customers. Talk to the friendly team at Hampshire Bird & Pest Solutions about your pest concern to receive a FREE no obligation quotation! Fill in the form below and a member of the team will be in touch shortly to learn more about the situation. Get in touch with our friendly team using the information below. Hampshire Bird & Pest Solutions are a vetted and recommended member of Checkatrade, with an average customer rating of 9.96 out of 10. We're also accredited by the British Pest Control Association (BPCA) for Bird Management and have a number of certifications in Rodent Control, Safe Use of Pesticides and Insect Control from Killgerm. Today we would like to welcome 2 new staff members to the HBPS team! Call us today about green pest control. No poison No chemicals just safe and natural pest control. Keep an eye out for the clothes moth this month. Once you see the adults flying around lots of damage has already been done.